bunk bed frame. 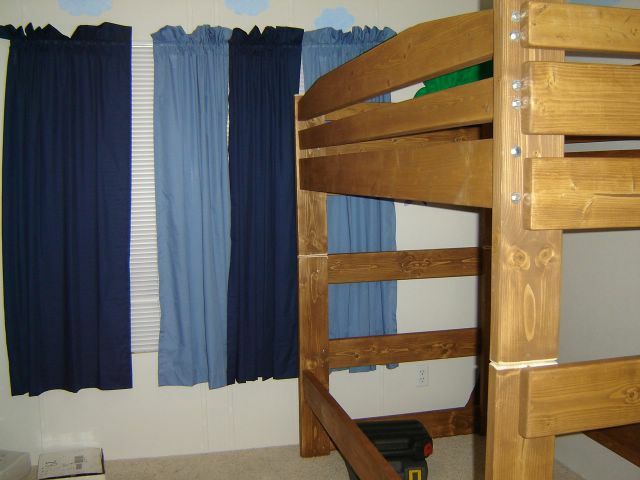 the room is so small that it makes it difficult to get a full picture of the bunk beds. you get the idea though. after I touch up the stain where the top and bottom bunks attach (they are stackable) they will look pretty good. i like the way the stain turned out. just the color i was going for. it matches the trees i painted into the corners of the bedroom.